J.B. 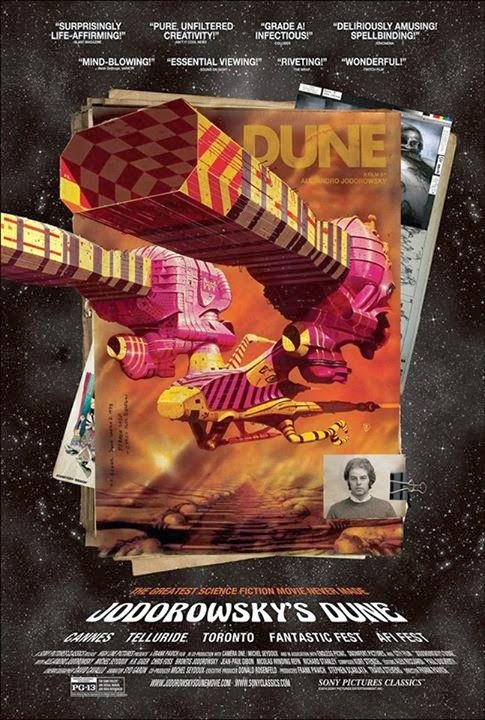 Spins: Jodorowsky’s Dune: If Only . . .
How do you get from Alejandro Jodorowsky’s trippy cult classic The Holy Mountain to Ridley Scott’s moody blockbuster Alien? The road passes through Frank Herbert’s Dune and the legendary adaptation Jodorowsky failed to realize. It was a valiant effort that assembled much of the then unknown talent that would reconvene for the later science fiction-horror vehicle. The behind-the-scenes story of the greatest film-that-never-was is told in Frank Pavich’s Jodorowsky’s Dune (trailer here), which opens this Friday at New York’s Film Forum. Jodorowsky’s Dune boasts some of the greatest and most influential pre-production work maybe ever, but sadly you cannot see the final film. In 1975, Jodorowsky was at the peak of his international success, even though his films were still unevenly distributed in America. Along with the Rocky Horror Picture Show, films like El Topo helped define the Midnight movie as a profitable phenomenon. Looking for a challenge, Jodorowsky and his producer Michel Seydoux corralled the rights to Dune. Not exactly slavishly beholden to Herbert’s novel (which the Chilean auteur readily admits he had not read until after he committed to the project), Jodorowsky conceived an adaptation that truly boggles the mind. Still, Dune’s mind-expanding spice was perfectly compatible with Jodorowsky’s sensibilities. The prospective cast of Mick Jagger, Orson Welles, David Carradine, and Salvador Dalí alone would have guaranteed the film eternal cult status. However, Jodorowsky also assembled a technical crew of future genre superstars, including H.R. Giger, Jean “Moebius” Giraud, Chris Foss, and Dan O’Bannon, all of whom would contribute their talents to the O’Bannon scripted Alien. Recognizing their allure, Pavich includes liberal selections of the aborted film’s concept art, even animating small snippets to really torment genre fans. Despite the short term risks, there is no way this film would not have been profitable in the long term. Which would pay more dividends in the post-1970’s VCR era, Jodorowsky’s Dune or a safe studio comedy like I Will, I Will . . . for Now? For that matter, what sort of licensing and residuals does the unwatchable Streisand remake of A Star is Born still generate, even though it was a minor hit in its day? As a consolation, Pavich clearly suggests Jodorowsky’s efforts indirectly influenced scores of genre filmmakers, even if the experience was detrimental to his own career. Clearly, Jodorowsky is ready to talk about it, because does so in great length throughout the documentary. Fortunately, he is quite a lively interview subject. 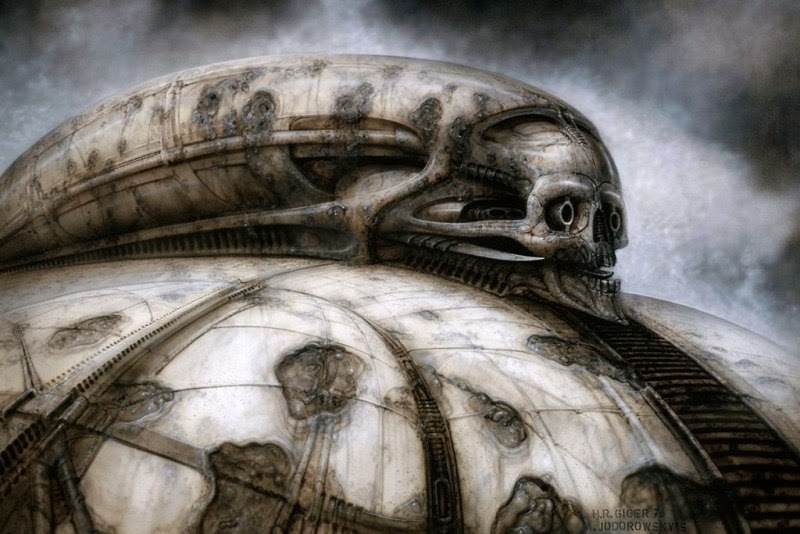 Although we also hear from Giger, Foss, Seydoux, and Jodorowsky’s son Brontis (who would have played Paul Atreides), the senior Jodorowsky’s voice dominates the film—not that his considerable fanbase is likely to object. During the course of the film, Pavich gives viewers a vivid sense of what Jodorowsky unmade film would have looked like and provides helpful context to appreciate the time and professional milieu in which it did not happen. 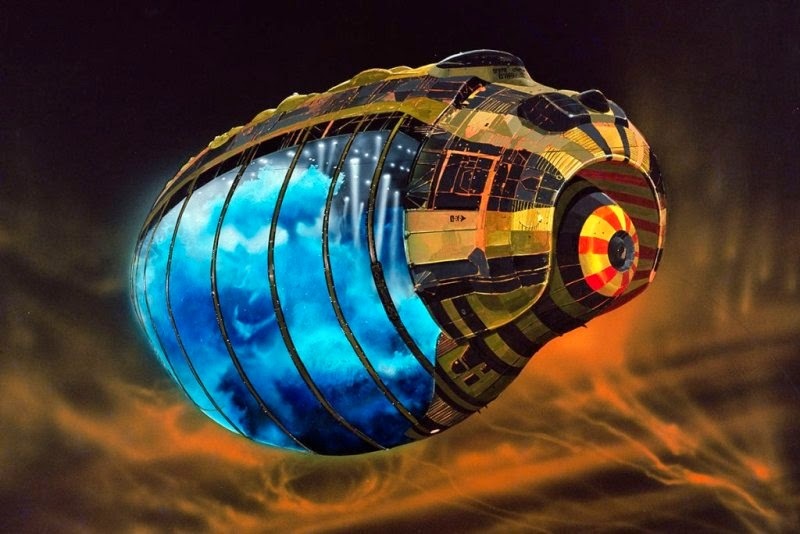 A fascinating and tantalizing “what if,” Jodorowsky’s Dune is highly recommended for science fiction fans and frustrated filmmakers of all stripes when it opens this Friday (3/21) in New York at Film Forum.